4 Greg Benson Famous Sayings, Quotes and Quotation. The concentration of atmospheric carbon dioxide has changed greatly since fossilized life began on Earth nearly 600 million years ago. 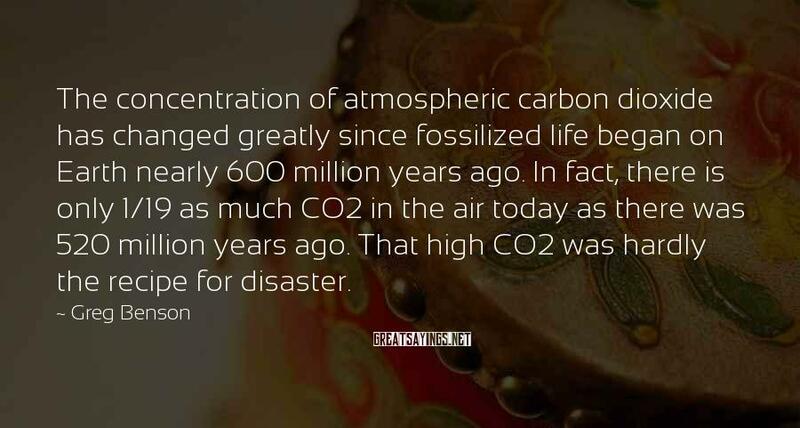 In fact, there is only 1/19 as much CO2 in the air today as there was 520 million years ago. That high CO2 was hardly the recipe for disaster. 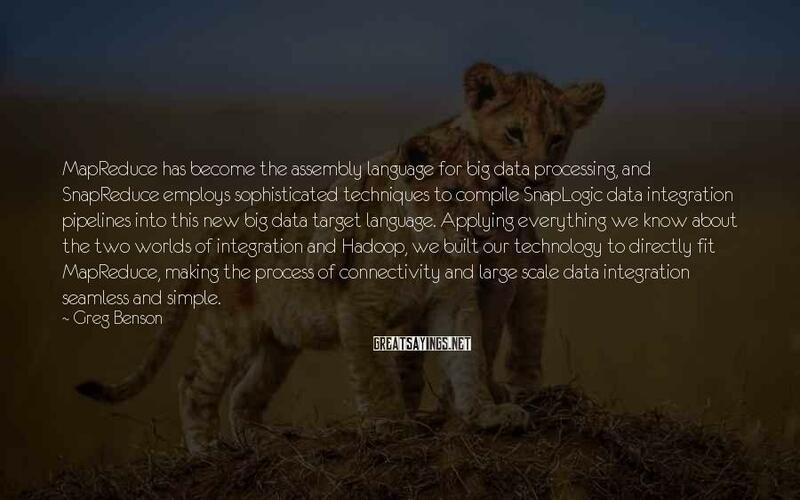 MapReduce has become the assembly language for big data processing, and SnapReduce employs sophisticated techniques to compile SnapLogic data integration pipelines into this new big data target language. Applying everything we know about the two worlds of integration and Hadoop, we built our technology to directly fit MapReduce, making the process of connectivity and large scale data integration seamless and simple. 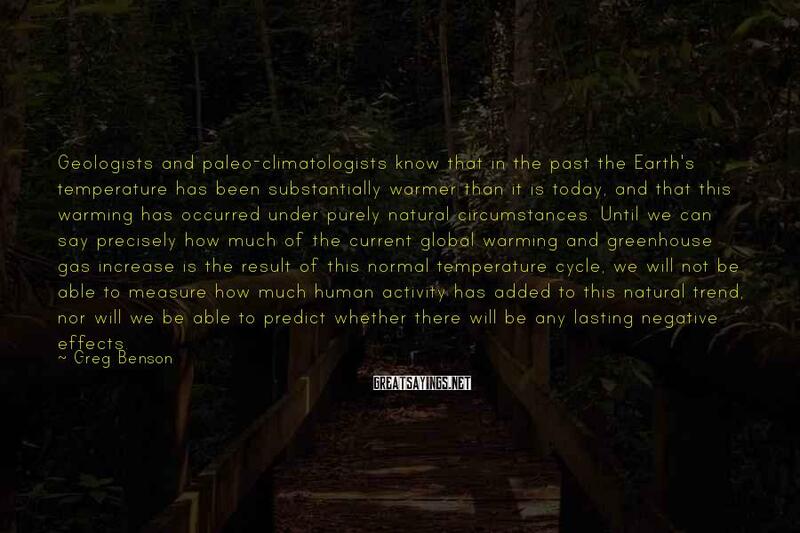 Geologists and paleo-climatologists know that in the past the Earth's temperature has been substantially warmer than it is today, and that this warming has occurred under purely natural circumstances. Until we can say precisely how much of the current global warming and greenhouse gas increase is the result of this normal temperature cycle, we will not be able to measure how much human activity has added to this natural trend, nor will we be able to predict whether there will be any lasting negative effects. 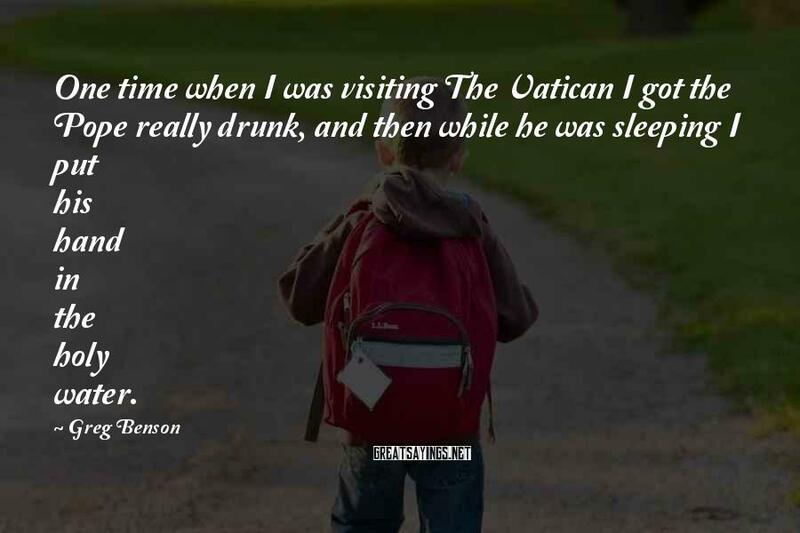 One time when I was visiting The Vatican I got the Pope really drunk, and then while he was sleeping I put his hand in the holy water.